Here are two noteworthy stories about water and water rights. In summary, growing food or commercial crops in one country to transfer to another country also constitutes a transfer of water from the first country to the second, usually a transfer of water from a poorer country to a richer country. Two scientists have diagrammed and analyzed global water transfers which increasingly benefit the already rich countries. Africa has been a popular target of land grabs that are also water grabs. The second article discusses how the World Bank, often using the IFC, is working to privatize water rights into the hands of a few large corporations. Those corporations are mostly concerned with maximising short term profits, with no interest in infrastructure, conservation or development. IS THIS the face of future water conflicts? China, India and Saudi Arabia have lately leased vast tracts of land in sub-Saharan Africa at knockdown prices. Their primary aim is to grow food abroad using the water that African countries don’t have the infrastructure to exploit. Doing so is cheaper and easier than using water resources back home. But it is a plan that could well backfire. “There is no doubt that this is not just about land, this is about water,” says Philip Woodhouse of the University of Manchester, UK. Take Saudi Arabia, for instance. Between 2004 and 2009, it leased 376,000 hectares of land in Sudan to grow wheat and rice. At the same time the country cut back on wheat production on home soil, which is irrigated with water from aquifers that are no longer replenished – a finite resource. Meanwhile, firms from China and India have leased hundreds of thousands of hectares of farmland in Ethiopia. Both China and India have well-developed irrigation systems, but Woodhouse says their further development – moving water from the water-rich south to northern China, for instance – is likely to be more costly than leasing land in Africa, making the land-grab a tempting option. But why bother leasing land instead of simply importing food? Such imports are equivalent to importing “virtual water”, since food production accounts for nearly 80 per cent of annual freshwater usage. A new study into how this virtual water moves around the world offers an explanation for the leasing strategy. Ignacio Rodriguez-Iturbe of Princeton University and Samir Suweis of the Swiss Federal Institute of Technology in Lausanne have built the first mathematical model of the global virtual water trade network, using the UN Food and Agricultural Organization’s data on trade in barley, corn, rice, soya beans, wheat, beef, pork, and poultry in 2000. They combined this with a fine-grained hydrological model (Geophysical Research Letters, DOI: 10.1029/2011GL046837). The model shows that a small number of countries have a large number of connections to other countries, offering them a steady and cheap supply of virtual water even if some connections are compromised by drought or political upheaval. A much larger number of countries have very few connections and so are vulnerable to market forces. Most importantly, the model shows that about 80 per cent of the water flows over only about 4 per cent of the links, which Rodriguez-Iturbe calls the “rich club phenomenon”. In total, the model shows that in 2000, there were 6033 links between 166 nations. Yet 5 per cent of worldwide water flow was channelled through just one link between two “rich club” members – the US and Japan. China and India are not currently major players in the virtual water network on a per capita basis, and as the network evolves they could find themselves increasingly vulnerable to market forces and end up paying more for the food they import. Leasing land elsewhere is an attempt to secure their food and water supply in a changing world. But it could be a short-sighted move. Last year, Paolo D’Odorico of the University of Virginia at Charlottesville showed that a rise in the virtual water trade makes societies less resilient to severe droughts (Geophysical Research Letters, DOI: 10.1029/2010GL043167). “[It] causes a disconnect between societies and the water they use,” says D’Odorico. The net effect is that populations in nations that import water can grow without restraint since they are not limited by water scarcity at home. Although this could be seen as a good thing, it will lead to greater exploitation of the world’s fresh water. The unused supplies in some areas that are crucial in case of major droughts in other areas will dry up. “In case of major droughts we [will] have less resources available to cope with the water crisis,” says D’Odorico. In the end, then, the hunt for water that is driving emerging economies to rent African land to grow their crops could come back to haunt them. Although the next story is not as specifically about African land and water, it has huge implications for Africa. Africa is a favorite target of water grabs. Billions have been spent allowing corporations to profit from public water sources even though water privatization has been an epic failure in Latin America, Southeast Asia, North America, Africa and everywhere else it’s been tried. But don’t tell that to controversial loan-sharks at the World Bank. Last month, its private-sector funding arm International Finance Corporation (IFC) quietly dropped a cool 100 million euros ($139 million US) on Veolia Voda, the Eastern European subsidiary of Veolia, the world’s largest private water corporation. Its latest target? Privatization of Eastern Europe’s water resources. All the evidence Veolia needs that water grabs are doomed exercises can be found in its birthplace of France, more popularly known as the heartland of water privatization. In June, the municipal administration of Paris reclaimed the City of Light’s water services from both of its homegrown multinationals Veolia and Suez, after a torrent of controversy. That’s just one of 40 re-municipilazations in France alone, which can be added to those in Africa, Asia, Latin America, North America and more in hopes of painting a not-so-pretty picture: Water privatization is ultimately both a horrific concept and a failed project. … the World Bank is simply spinning off its compromised philosophy to the IFC. So while the World Bank may be torn in its endorsement of water privatization, the IFC has no such reservations, in hopes of dodging the slings and arrows of public outcry, and perhaps legal liability. Which is another way of saying that, regardless of the refreshing trend toward re-municipalization, no one should expect the World Bank or its IFC untouchables to give up the privatization and deregulation ghost anytime soon. That means that every city, and citizen, is due for a day of reckoning of some sort, and should fight back against the bankrupt privatization paradigm with everything in its arsenal. I can only second these sentiments, and repeat: Water is a commons, a public trust and a human right and no one has the right to appropriate for profit when others are dying from lack of access. All of us in every community everywhere should be watching where our water is coming from, and stay involved in questions of water management in our home communities. Much of the money is said to be channelled through London-based Emergent asset management, which runs one of Africa’s largest land acquisition funds, run by former JP Morgan and Goldman Sachs currency dealers. … Emergent’s clients in the US may have invested up to $500m in some of the most fertile land in the expectation of making 25% returns. “The scale of the land deals being struck is shocking”, said Mittal. “The conversion of African small farms and forests into a natural-asset-based, high-return investment strategy can drive up food prices and increase the risks of climate change. Research by the World Bank and others suggests that nearly 60m hectares – an area the size of France – has been bought or leased by foreign companies in Africa in the past three years. “Most of these deals are characterised by a lack of transparency, despite the profound implications posed by the consolidation of control over global food markets and agricultural resources by financial firms,” says the report. THIS NEW scramble for African land has visited a multitude of problems on ordinary Africans and set the stage for ecological crisis and widespread hunger. Some defend the investors’ acquisition of land in their countries, saying it is “virgin” or “under-utilized” or “uncultivated” or “degraded” land…This suggests they know precious little about the importance of fallows and the resilience and diversity of agroforestry systems, or about sustainable agriculture and the knowledge base of their own farmers. Experts in the field, however, affirm that there is no such thing as idle land in…Africa…Countless studies have shown that competition for grazing land and access to water bodies are the two most important sources of inter-communal conflict in [areas] populated by pastoralists. In fact, because much of its food is produced for export, sub-Saharan Africa is the only region in the world where per capita food production has been declining, with the number of people that are chronically hungry and undernourished currently estimated at more than 265 million. Nations with large amounts of land sold or leased to foreign owners are often food importers, and their inability to feed their own populations is exacerbated by the displacement of food producers who grow for local use. 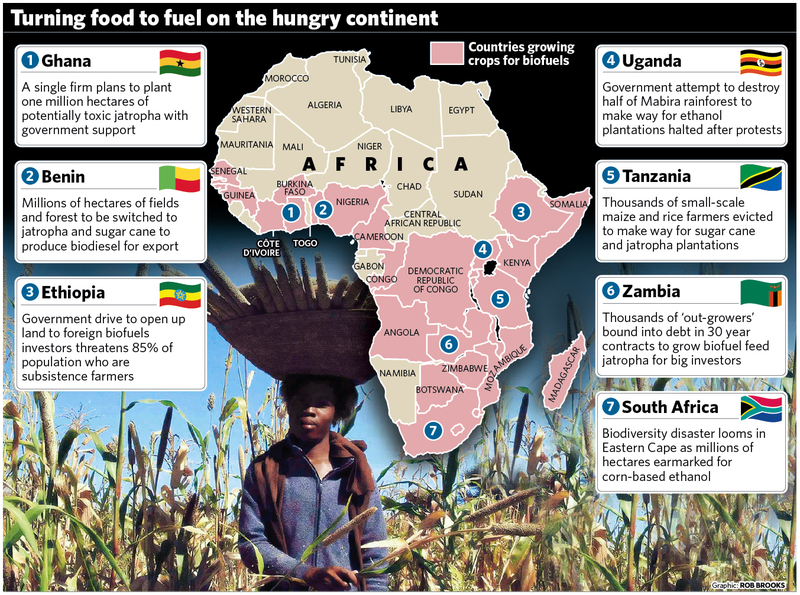 The UN Conference on Trade and Development (UNCTAD) reports that Africa has lost 20 percent of its capacity to feed itself over the past four decades. Ethiopia alone has 13 million people in immediate need of food assistance, yet its government has put over 7 million acres of land up for sale. Large-scale land acquisition poses massive ecological threats to the African environment. The dangers are numerous: hazardous pesticides and fertilizers cause water contamination from their runoff, the introduction of genetically modified seeds and other problems. Land previously left to lie fallow is now threatened with overuse from intensified agricultural development, a trend further exacerbated by speculative investment and the drive for short-term profits. I found this a particularly telling passage from (Mis)investment in Agriculture: The Role of the International Finance Corporation In Global Land Grabs (PDF) a publication of the Oakland Institute. Proponents of the land deals will dismiss my concerns and claim that this type of foreign investment will benefit the local people by providing jobs and creating infrastructure. They will also say that the land being offered is “unused.” These are hollow arguments. Investors have been quoted as saying they will employ 10,000 people and use high-tech, high-production farming techniques. The two promises are completely incongruous. As a farmer, I can tell you that high-tech, high production devices are appealing precisely because they reduce labor. Investors will not hire significant numbers of people and simultaneously scale-up their production techniques. And if they choose the former, they are likely to create low-paying jobs and poor working conditions. I may be making assumptions, but they are based on history—a history dating back to colonialism and one that has exploited both natural resources and people. Particularly disconcerting is the notion that the “available” land is “unused.” This land is in countries with the highest rates of malnutrition on the only continent that produces less food per capita than it did a decade ago. In most cases, this land has a real purpose: it may support corridors for pastoralists; provide fallow space for soil regeneration; provide access to limited water sources; be reserved for future generations; or enable local farmers to increase production. The fact that rich and emerging economies do not have or do not respect pastoralists or use land for age-old customs does not mean we have a right to label this land unused. In the quest for biofuel plantations, and for export food crops, foreign countries and corporations are grabbing land, “using methods that hark back to the darkest days of colonialism” in Ghana and throughout Africa. Foreign companies now control 37 percent of Ghana cropland. The spread of jatropha is pushing small farmers, and particularly women farmers off their land. Valuable food sources such as shea nut and dawadawa trees have been cleared to make way for plantations. A total of 769,000 ha has been acquired by foreign companies such as Agroils (Italy), Galten Global Alternative Energy (Israel), Gold Star Farms (Ghana), Jatropha Africa (UK/Ghan), Biofuel Africa (Norway), ScanFuel (Norway) and Kimminic Corporation (Canada). 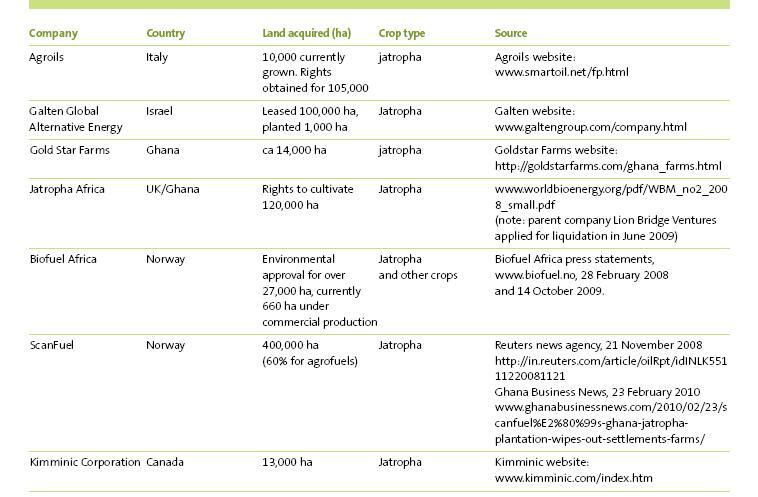 According to the CIA World Fact Book Ghana has 3.99 million ha arable land with 2.075 million ha under permanent crops. This means that more than 37 percent of Ghana’s cropland has been grabbed for the plantation of jatropha. Friends of the Earth published Africa: up for grabs: The scale and impact of land grabbing for agrofuels PDF describing the problem throughout the continent. It contains maps and tables showing more detailed information about specific countries. With its relatively stabile political situation and suitable climate, Ghana is an apparent hotspot for acquiring land to grow jatropha. The following story from Ghana shows how the Europeans, often with the help of some government enablers, trick local communities into giving up their land. The company representatives imply they are bringing jobs and income, but do not contract in any way in which they can be held legally accountable to keep their promises. It is not just Europeans who are siezing land in Africa. The US, China, Brazil, and other countries are involved. In Ghana so far, most of the appropriated land has been taken over by Europeans. Biofuel land grabbing in Northern Ghana PDF is the story of how a Norwegian biofuel company took advantage of Africa’s traditional system of communal land ownership and current climate and economic pressure to claim and deforest large tracts of land in Kusawgu, Northern Ghana with the intention of creating “the largest jatropha plantation in the world”. Bypassing official development authorization and using methods that hark back to the darkest days of colonialism, this investor claimed legal ownership of these lands by deceiving an illiterate chief to sign away 38 000 hectares with his thumb print. This is also the story of how the effected community came to realize that, while the promised jobs and incomes were unlikely to materialize, the plantation would mean extensive deforestation and the loss of incomes from gathering forest products, such as sheanuts. When given all the information the community successfully fought to send the investors packing but not before 2 600 hectares of land had been deforested. Many have now lost their incomes from the forest and face a bleak future. 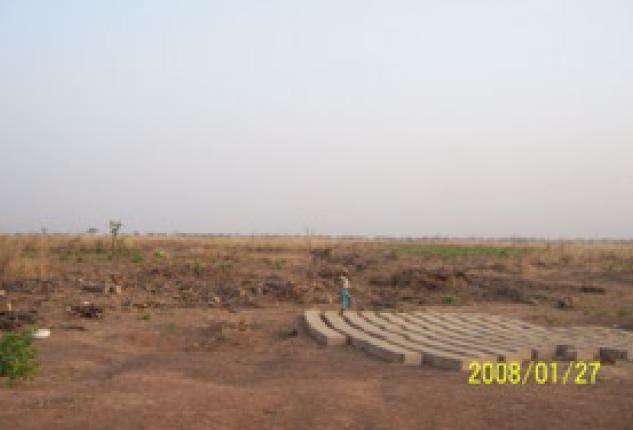 Land stripped for biofuel production near Alipe, Northern Ghana. Rural communities who are desperate for incomes are enticed by developers who promise them a “better future” under the guise of jobs with the argument that they are currently only just surviving from the “unproductive land” and that they stand to earn a regular income if they give up the land for development. This argument fails to appreciate the African view of the meaning of the land to the community. While the initial temptation to give up the land to earn a wage is great, it portends of an ominous future where the community’s sovereignty, identity and their sense of community is lost because of the fragmentation that the community will suffer. The strategy for the acquisition of the land often takes the following course: The imaginations of a few influential leaders in the community are captured. They are told about prospects for the community due to the project and they were swayed with promises of positions in the company or with monetary inducements. The idea is that these people do the necessary “footwork” in the villages where they spread the word about job opportunities. A document is then prepared, essentially a contract, to lease the land to the company. In the event of problems the developer can press their claim by enforcing the ‘contract’ or agreement. When the legality of the process is not adequately scrutinized, the developers have their way but, subject to proper scrutiny, it emerges these contracts are not legally binding as they have not gone through the correct legal channels. This is what happened in this particular case in the Alipe area. 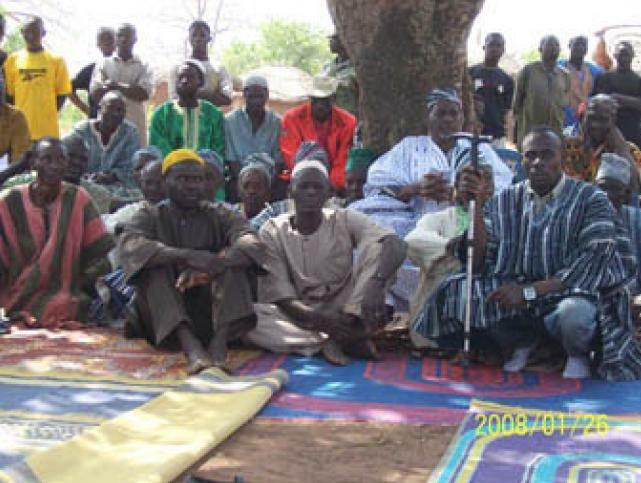 In this community, like in most parts of Ghana, over 80 percent of the land is held under communal ownership and more that 70 percent of this land is managed by traditional ruler-chiefs mainly on behalf the members of the their traditional areas. The chief was very categorical that he had not made such a grant and that he had also been battling with those “white people” to stop them – without much success. He confirmed that he “thumb printed” a document in the company of the Assemblyman of the area which had been brought to his palace by the “white people” but he did not confirm its contents. The Chief was initially unwilling to go against the wishes of his people as his efforts to stop the developers were being interpreted by the community as driving away opportunities to earn an income during the current dry season”. The facts began to emerge – a big fish in Government was promoting the project and had deployed his business associates in the Region to front for him. This front man was immediately employed as the Local Manager of BioFuel Africa. The EPA then insisted that they must go through the processes of having an Environmental Impact Assessment made. We then had a public consultative forum in the community where we had a face-to–face confrontation Mr. Finn Byberg, Director of Land Acquisition for BioFuel Africa in the village square in front of the Chief’s palace. The audience and judges were the village communities affected by the proposed project. The Chief and his elders waiting to hear the presentations. … the promises of jobs and a new improved life would not materialize because Mr Finn Byberg, the Chairman of BioFuel Africa confessed, during his presentation that he could not state categorically what commitments the company would make He said, “Commitments are not very easy and so when I am required to make these, I need to be very careful. I do not want to be caught for not keeping my word.”. … This made it clear that our land is being used for experimentation. Mr Byberg’s promise of jobs …were mere campaign gimmicks. We need a more aggressive campaign to halt land grabbing. We need to engage with traditional rulers, District Assemblies and Politicians about this ominous phenomenon. We need visibility through print and electronic media to put our message across effectively to a wider audience. RAINS has a strategy to build on the rapport that it has developed through the OSIWA project with traditional rulers to open up another channel for engagement. We cannot afford to be caught unawares in this war with the biofuel companies. The ancestors are on our side and we shall win the war! Reports from India, however, indicate that yields of 1kg per plant have been difficult to achieve. 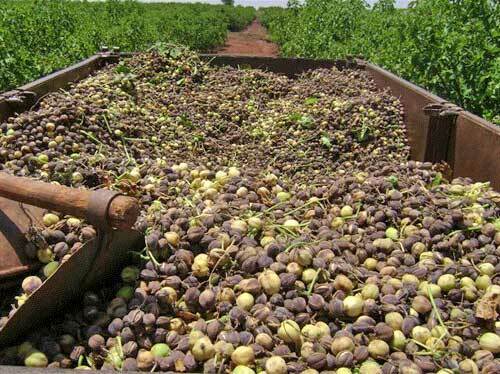 Food Security Ghana is yet to hear of any commercially viable biofuel production from Jatropha, and it looks more and more as though the jatrophy frenzy is a big bubble waiting to burst. The FoE report is indeed alarming if one considers that Ghana has allowed this massive land grab to take place in the absence of a biofuel policy and with no environmental impact studies undertaken – on the possible negative effects on both natural resources and on the communities – of huge jatropha plantations. The report further states that proponents of agrofuels generally argue that agrofuel production will address the economic crisis facing many developing countries; they will create wealth and jobs and alleviate poverty. According to the FoE these arguments overlook the other side of the story and leave many questions unanswered. • Is the push for agrofuel production in the interest of the developing countries or are the real beneficiaries Northern industrialised countries? 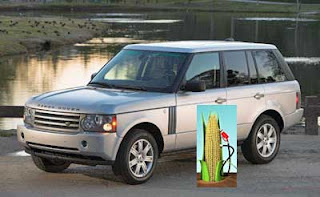 • Will the production of agrofuels actually provide more jobs and enhance economic development at the community level? • Will it address the issue of food insecurity plaguing the developing world? • What are the social and environmental costs of agrofuel production to host communities? • Who stands to benefit from the entire process? “Hunger for foreign investment and economic development is driving a number of African countries to welcome agrofuel developers onto their land. Most of these developers are European companies, looking to grow agrofuel crops to meet EU targets for agrofuel use in transport fuel. Demand for agrofuels threatens food supplies away from consumers for fuel in the case of crops such as cassava, peanuts, sweet sorghum and maize. Non-edible agrofuel crops such as jatropha are competing directly with food crops for fertile land. The result threatens food supplies in poor communities and pushes up the cost of available food. Farmers who switch to agrofuel crops run the risk of being unable to feed their families. While foreign companies pay lip service to the need for “sustainable development”, agrofuel production and demand for land is resulting in the loss of pasture and forests, destroying natural habitat and probably causing an increase in greenhouse gas emissions. While politicians promise that agrofuels will bring locally sourced energy supplies to their countries, the reality is that most of the foreign companies are developing agrofuels to sell on the international market. The Government of Ghana announced that a biofuel policy will soon be introduced. Now is maybe the time for the people of Ghana to ask if the critical questions posed by the FoE have been addressed in the development of this policy. September 17 from GhanaWeb: Tema fishermen halt sale of land, agricultural land is not the only land being seized by nationals from other countries. About 200 fishermen and fishmongers Thursday resisted attempts to clear debris and erect a fencewall around a fish processing area near the Tema Canoe Beach. The area was being cleared for the construction of a palm oil processing firm to be owned by Wilmor Edible Oil Refinery-Project (WEORP) a Singaporean firm. The 64 hectare land was leased to the company by the Ghana Ports and Harbours Authority (GPHA). The demonstrators wearing red arm bands and headgears singing traditional songs with the refrain “wo kpene ni ashishi wo,” to wit, “we will not allow them to cheat us,” stopped the bulldozer from preparing the ground and sealed holes dug up to erect pillars for the fencewall. Rebecca Ashong, one of the fish processors, said she had been on the business for more than 15 years and had been supporting her family with proceeds from it and driving them out of the land will spell doom for them. Wolenye Korkor Abo, said more than 2,000 people depended on the fish processing business for survival and displacing them will bring about untold hardship into the Tema Manhean community and asked government to take another look at it. Nii Shippi Armah of the Tema Traditional Council wondered why the people of Tema would not be left alone to occupy this piece of land after so many acres of their land had been taken over by the State. He said in 1959 when the construction of the Tema harbour and industrialisation of Tern a displaced the indigenous people, government resettled them at Tema Newtown. In addition, government pointed the landing beach and this piece of land where our people could continue fishing processing their catch and mending nets as we did at our previous location. He said “after almost 51 years of using the place, it has by convention and usage become ours“. He said over 2,000 people were involved in the fish processing business in the area and it is from that they support their families and children’s education and sacking them would bring untold economic hardships. “We will, therefore, resist all attempts to displace us again,” he warned. Nii Shippi Armah said a committee set up to study the implications of the project to the community was yet to present its report to the Tema Traditional Council. Mr, Asiedu said over the last five months it had been meeting the committee members and they had agreed that those affected by the project will be relocated and the cost paid by the project so that their livelihood were not destroyed. He said a new 50 seater toilet facility will be provided to replace the 40 seater one which is currently located at the centre of the land. Mr. Asiedu said the concerns of the community were being addressed and the construction of the project would be carried out alongside the relocation plan and, therefore, advised those affected by the project not to panic. The project is expected to directly employ between 1,800 and 2,400 people. The local fishing business already supports that many. Will the processing plant employ Ghanaians, or will it import labor? If Ghanaians will be relocated, the relocation spot should be prepared and ready before they move. Promises mean nothing. No one can live on promises. And why should these people be forced to move again? I wish the fishermen and fishmongers of Tema much success in holding on to their land and livelihood. And I wish farming and working communities throughout Ghana success in holding on to their land. The dangers are wealthy, powerful, and growing. Local people need some help and support from their government. Government needs to provide this backing to stay legitimate. If you want people to vote for you, they need to see you are supporting their interests or they will vote you out. That just happened in Washington DC, where a mayor who repeatedly ignored and insulted a majority of his constituents, the people who had previously supported him, just lost his bid for reelection. It can happen in Ghana too. It is what a lot of Ghanaians were looking for in the presidential elections at the end of 2008. The first part of this article was published, text only, on GhanaWeb on September 19. You can read comments there. Glenn Ashton of the The South African Civil Society Information Service has written a telling article about the new colonial land grabs in Africa titled Madagascar: the new land grab. The global food security focussed NGO, GRAIN, issued a report on this phenomenon in October 2008, where they cited more than 100 examples of this new neo-colonial land grab. These land grabs are primarily by nations that have insufficient natural capital or space – such as the desert-bound nations of the Middle East and overpopulated nations such as China and South Korea. They seek to improve the food security of those nations while undermining the ability of host nations to access similar benefits, through the alienation of prime agricultural land. The ecological impacts can also be significant. Since the GRAIN report was published, the land grab has continued apace. The recent acquisition of a reported 1.3 million hectares (ha) of land in Madagascar by the South Korean company Daewoo Logistics Corporation on 99-year lease has raised eyebrows around the world. This land represents around half of that island nation’s arable land. Even the World Bank is continuing its role as a neo-colonial consensus agent by actively pursuing and financing access to ‘under-utilised land’ around the world through its International Finance Corporation. Of course much of the land is “under-utilised” because African countries were following World Bank recommendations and requirements. Malawi used to provide free seeds and fertilizer to its farmers. The results were impressive, but the subsidies ran afoul of the pro-market policies of the World Bank and International Monetary Fund (IMF), which argued that subsidies were “crowding out” commercial sales and constituted undue government interference in the economy. Under considerable pressure from these financing institutions, the programme was phased out. The IMF also insisted that Malawi sell much of its national grain reserve to pay off the debts of the state-owned maize marketing agency. Most Malawian farmers, however, were too poor to pay commercial rates for fertilizer and seeds. As a result, maize yields plunged. When drought struck in 2001 neither farmers nor the government had adequate grain stores to see them through, and more than a thousand people are estimated to have died. Then after the failed 2005 harvest left 5 million of Malawi’s 13 million people on the brink of starvation, the newly elected government of President Mutharika defied the donors and launched the subsidy scheme with its own funds. … international finance instruments run by the then G5 (now expanded to the G8), such as the World Bank and the International Monetary Fund used aid and so-called development finance instruments to further their interests. It has been established by repeated research over decades that the smaller the farm the greater the yield. For more information read the article Small is Bountiful, and check the references listed at the end. There are economies of scale with big agriculture. Big agriculture allows the proceeds to be concentrated among a few people unrelated to the people actually living on the land. It is generally harmful to the land, due to the use of toxic chemicals needed to sustain monocultures, and due to unsafe genetic engineering. It is harmful to the people who live in its vicinity, depriving them of their livilihood and damaging their health. Perhaps more sinister is the recent news of leasehold rights being acquired for approximately 400,000 hectares of land in the Southern Sudan from the family of former warlord Gabriel Matip. In a deal struck by US financier Philippe Heilberg, who has used a British Virgin Islands subsidiary of his Jarch Group to facilitate the deal, private interests have intervened directly in disputed territories. Co-directors of the group reportedly include ex-CIA operatives. Given the ongoing instability in that nation and the forced eviction of millions in the neighbouring Darfur region, this sort of land acquisition is perhaps a harbinger of an unsavoury trend in who gets to control the land in disputed territories. I wrote about this in an earlier post: Jarch Colonial Holdings, and quote Heilberg: “You have to go to the guns, this is Africa”. His intentions are clear. The Jarch management contains people with connections to both the current and the previous US administrations. You can see their management listed on the Jarch LLC website. Activities to increase agricultural growth in Africa have also been severely compromised by questionable alliances. 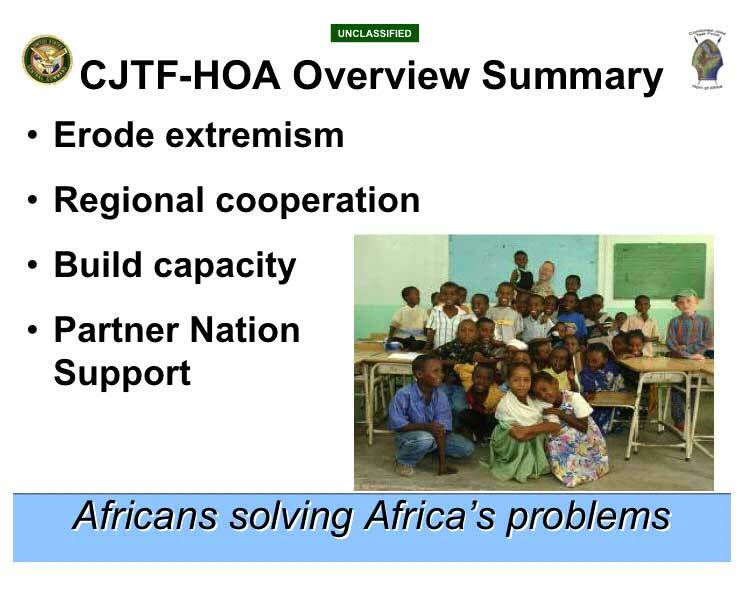 For instance AGRA, the African Union endorsed ‘Association for a Green Revolution in Africa,’ has seen the undemocratic and unsolicited intervention of supposedly neutral funders such as the Bill and Melinda Gates foundation. The relationship between these funders and pro-genetically modified food interests (in what is now termed bio-colonialism) has served to actively undermine local agricultural collectives, NGOs and projects that aim to promote and share proven solutions to food insecurity and malnutrition. This is perhaps the most dangerous manifestation of neo-colonialism as it operates behind a veil of philanthropy while (wittingly or unwittingly) undermining democratic structures and interests. The obscene profits accrued by capital over recent decades, instead of being taxed and distributed by state organs, are now in the hands of ill-informed and often ideologically biased do-gooders. For instance, given the technocratic origins of the Gates fortune, it is logical that undue emphasis will be placed on similar technocratic agricultural solutions. These ‘solutions’ are imposed through slick public relations and the support of corporate aligned agri-business interests such as Africa-Bio and A New Harvest, both of which are linked to GM corporations such as Monsanto, the worlds biggest seed company and genetically modified seed distributor. There is an urgent need to examine these new neo-colonial thrusts. Careful and objective analysis must be undertaken as to how food and land sovereignty is being compromised through naïve interaction with the new global powers of finance and trade. The interests of global capital need to be tempered by intervention and through more pragmatic approaches that take account of the historical relationships between land, community, food security and economic development. It is ironic that while Africans have fought to cast aside colonial oppression and its concomitant heritage, we have instead opened gates (pun intended) to a new wave of colonial interests that threaten, yet again, to bypass the marginalised whilst enriching a well-connected minority. It would be tragic to cast aside Africa’s recently won freedom for a yoke of a different design. In a democracy, the economic agenda is the political agenda. The US claims to support and foster democracy. This is a test. In fact, it is probably THE test. Without food, none of us survive. 4. GRAIN has released a Google Notebook with full-text news clippings collected during the research for this briefing as a support to those who want to read more. WE put boots on the ground to keep YOU In Line! 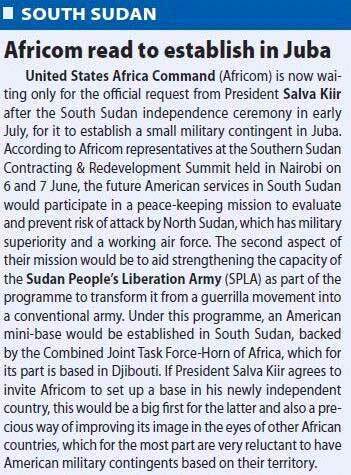 This looks like a job for AFRICOM. … In contrast to land deals between foreign investors and governments, Mr Heilberg is gambling on a warlord’s continuing control of a region where his militia operated in the civil war between Khartoum and south Sudan. Jarch Management Group is linked to Jarch Capital, a US investment company that counts on its board former US state department and intelligence officials, including Joseph Wilson, a former ambassador and expert on Africa, who acts as vice-chairman; and Gwyneth Todd, who was an adviser on Middle Eastern and North African affairs at the Pentagon and under former president Bill Clinton at the White House. Mr Heilberg is unconcerned. He believes that several African states, Sudan included, but possibly also Nigeria, Ethiopia and Somalia, are likely to break apart in the next few years, and that the political and legal risks he is taking will be amply rewarded. 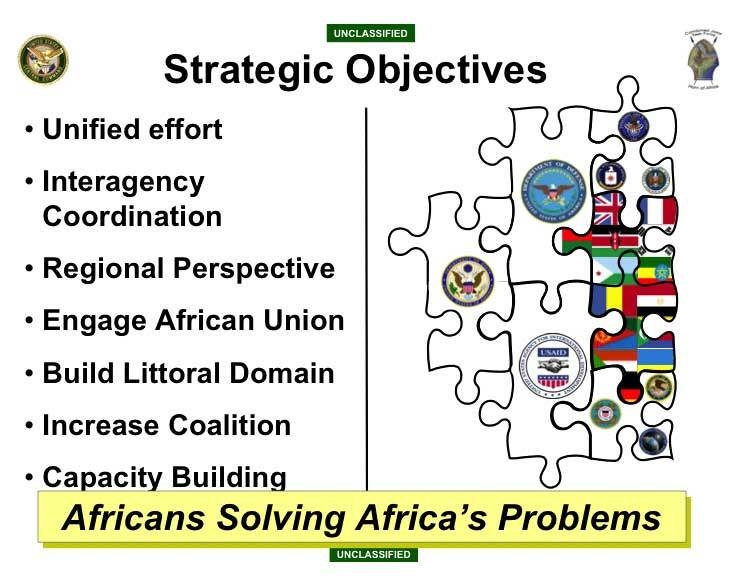 Nigeria, Ethiopia, and Somalia, are all primary targets of interest for AFRICOM, all are targeted for “nation building” and for training proxy militaries. “If you bet right on the shifting of sovereignty then you are on the ground floor. I am constantly looking at the map and looking if there is any value,” he said, adding that he was also in contact with rebels in Sudan’s western region of Darfur, dissidents in Ethiopia and the government of the breakaway state of Somaliland, among others. An political connected outfit like Jarch will not make such an investment when it is not sure that it can push the U.S. government to protect it. 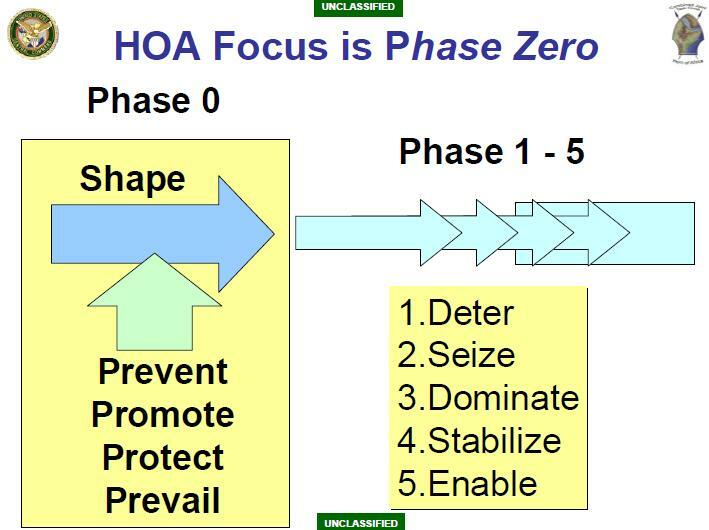 This looks like work for AFRICOM, and those nation “building” mercenaries employed by the State Department and the Pentagon, the same ones who have done so much for the Iraqi people, and for America’s image in Iraq. “Jarch has leased approximately 400,000 hectares gross of prime farmland from General Paulino Matip. In addition, Jarch will acquire more farm land within Southern Sudan,” said a statement issued by the investment group. The statement also noted that Mayom county, where the farmland was leased, contains some mineral resources, for which contracts will be executed by the Government of Southern Sudan in early 2009. There was another story about this in the Financial Times: Quest to create a new Sudan bread basket. Unity state does border the White Nile and its flat, arable land could, with billions of dollars of investment in irrigation and roads, be transformed into a world-class bread basket. Mr. Heilberg has no problem with war, violence, and death. 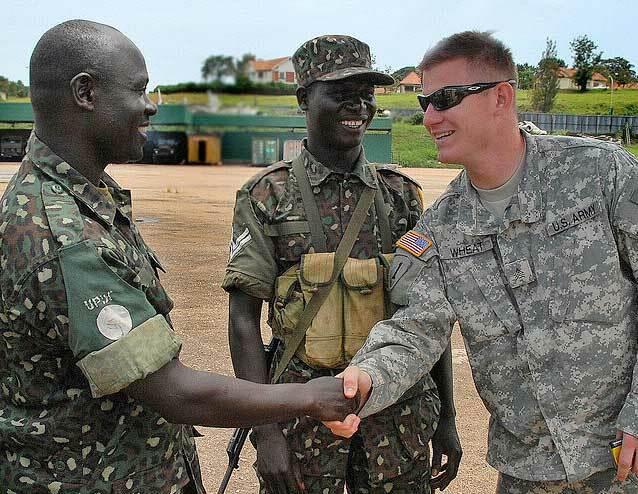 Mr Matip fought with the Sudan People’s Liberation Movement against the northern army before gaining notoriety during one of the bloodiest episodes in Sudan’s civil war, when he switched sides to form his own militia, with backing from parts of his Nuer tribe and the Khartoum regime. “I am sure Paulino has killed many, but I am sure he did it in protection of his people,” Mr Heilberg says in his defence. Which is very convenient and, of course, makes everything OK.
Mr Matip’s son Gabriel, who controls the company in which Jarch has bought a majority stake, told the Financial Times that he had negotiated with tribal leaders to secure access to more land. He said the company also had written agreement for the agricultural development of the land, and other land it may secure in the south of the country, from the ministry of agriculture and forestry in south Sudan. This means that people, who are likely illiterate, are being cheated out of their traditional lands, lands that have been in their clans and families for centuries. Written contracts backed up by guns and “law” will make that certain. Based on how this works in other places, it will have particularly adverse effects on women, who generally have some economic protections under traditional property practices. When these practices are “westernized”, women lose that traditional protection and get nothing in return. Now ask yourself why the U.S. is fighting terror in Somalia. Who might have financed the tanks and other weapons from the Ukraine with destination to South Sudan and captured by Somali pirates? 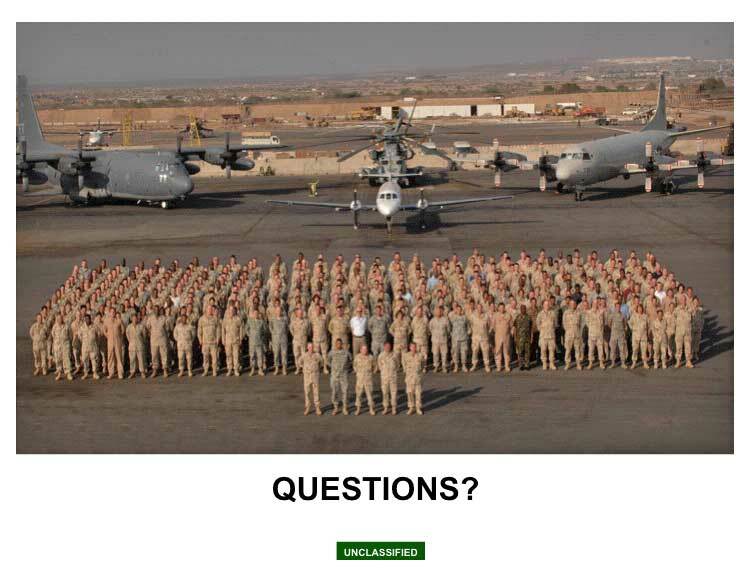 And who finances the Safe Darfur campaign that wants the U.S. to militarily intervene in Sudan? Mr. Heilberg, Joe Wilson and the investors who pay them are obviously ruthless about the consequences of their enterprise. But it is certain that this will end in war which will have to be endured by the people living on the fertile land Mr. Heilberg leased. Why is such behavior still or again considered legal? 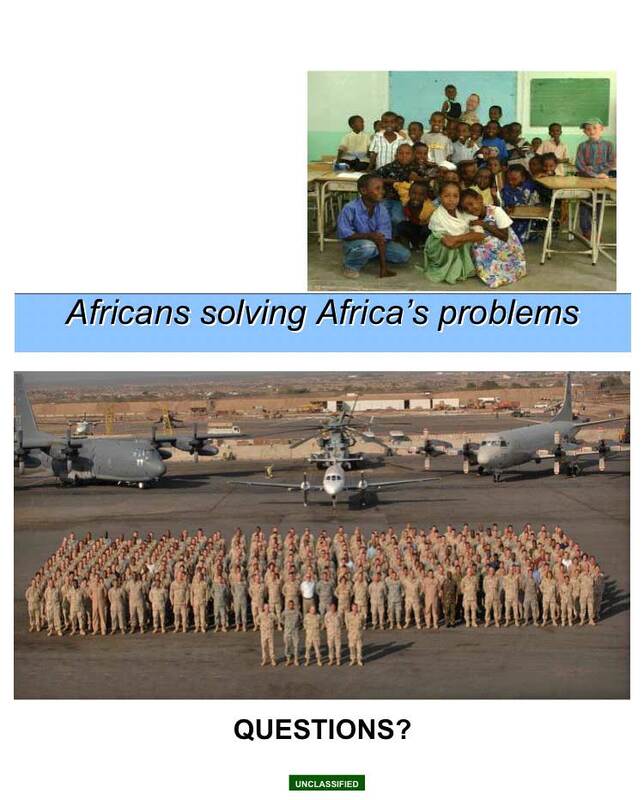 AFRICOM was designed for just such purpose. This is the “stabilization” and “nation building” that are more traditionally and more accurately called colonialism and imperialism. On the Jarch Capital LLC website, with Africa highlighted in red, pictured above, it says: Because it is YOUR Land, YOUR Natural Resources! Jarch Management Group, Ltd., a US investment firm, disclosed that it is considering additional opportunities to lease large tracts of farmland in Southern Sudan. This report follows the announcement in January of a massive lease agreement that prompted some tension within governing circles in Southern Sudan. In an apparent change of course from oil investing to agriculture, Jarch Management took a 70% interest in the Sudanese company Leac for Agriculture and Investment and leased approximately 400,000 hectares of land claimed by General Paulino Matip, a figure now straddling a deep fissure within the Sudan People’s Liberation Army. In a statement emailed to Sudan Tribune today the company disclosed that it aims to lease another 400,000 hectares of land by the end of the year. “Since its January 2009 announcement that it had leased about 400,000 hectares, the Company has had a multitude of offers to buy and lease farmland from around the world,” said a statement from the management of the company. While U.S. companies are banned from doing business in Sudan, agriculture in Southern Sudan is exempted from sanctions provided that the national government does not have any stake in the business and provided that no imports or exports pass through non-exempt areas. Jarch Management Group, Ltd, which is registered in the Virgin Islands, is managed by New York investor Philippe Heilberg, commodities traders and former State Department and Central Intelligence Agency officials, among others.